CWLP reduces risks of corrosion occurring in plumbing systems by adding lime during the water treatment process, which raises the pH of the finished drinking water. The use of lime and the higher pH of the water limits the risk of metals, such as lead, from leaching into drinking water from lead service lines and plumbing fixtures containing lead or copper. In situations where water is left standing for extended periods in plumbing systems where lead or copper pipe or solder exists, contamination into drinking water is a possibility. There are safeguards you can take to protect against this risk. Lead contamination may occur when water passes through a municipal water service line into a resident’s private plumbing system, where plumbing fixtures or pipe include lead or copper pipe with lead solder. This can permit lead to leach into the home’s water supply if water is left standing in the pipes for several hours. 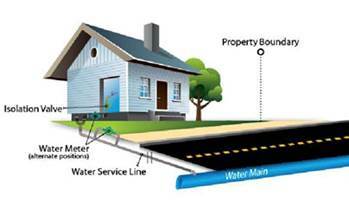 Individual property owners are responsible for any repairs or replacements to the section of private service line that runs from the meter pit or shutoff valve located near the street or in the outdoor meter pit to the home. Homes built before 1930 are more likely to have lead plumbing systems than newer homes. If your house or property was built before January 1986, you are more likely to have lead-solder in the plumbing. Properties built after January 1986 most likely contain copper piping. Lead is a very soft, dull gray metal. You can carefully scratch the pipe of soldered joint with a key or screwdriver. If the area turns a bright silver color, the pipe or solder is most likely lead. Note: Galvanized piping is also gray in color. You can use a strong magnet to determine if the pipe is galvanized. The magnet will cling to galvanized pipes, but not to lead pipes. Lead is harmful if inhaled or swallowed. Lead is found in air, soil, dust, food and water. Lead was once a key ingredient in paint and gasoline and may be found in part in batteries, pottery, roofing materials, some cosmetics, toys, and jewelry. Lead-based paint and lead-contaminated dust are the main sources of lead exposure in children. Lead based paints were banned for use in housing in 1978. The Environmental Protection Agency estimates that 10 -20% of adult exposure to lead comes from the drinking water. Infants who consume mostly formula mixed with tap water can receive 40 – 60% of their exposure to lead from drinking water. Lead can cause a variety of health effects when people are exposed to it. Children 6 years old and younger are the most susceptible to damaging effects. As an additional safeguard against lead contamination from drinking water for those with lead or copper service lines with lead soldering. If the water in your home hasn’t been used for a several hours, run the water for 3 minutes or more to ensure that you are receiving fresh water from the water main. To conserve water, use the flushed tap water for plants or other household use such as cleaning. Make sure small children understand the importance of allowing the water to run before drinking. Always use cold water for drinking, cooking, and preparing baby formula. Place a glass of water in the bedroom for members of the family who get up in the night for a drink of water. Do not boil water to remove lead. Periodically remove and clean the faucet aerator/screen. While removed, run the water to eliminate any debris. Identify and replace plumbing fixtures containing lead. Brass faucets, valves, and fittings may leach lead in to the homes drinking water. Products sold after Jan 4. 2014, by law must contain very low levels of lead. Be sure to read the label on new plumbing fixtures to verify that the products are certified for low lead content (less than 0.25 percent by weight). Consider investing in a home treatment device. Potential treatment options can include filters, reverse osmosis units and distillers. Make sure the system in certified under NSF/ANSI 53 to remove lead. If you decide to use a water treatment system, remember that it may require regular service, so be sure to follow the manufacturer’s maintenance instructions and replace filters at the recommended interval. Have a licensed electrician check your wiring. If grounding wires from electrical system are attached to household plumbing, corrosion could be increased and lead exposure may be greater. DO NOT attempt to change any wiring yourself as it could cause electrical shock and fire hazards. In the 1991 rulemaking, the EPA established a maximum contaminant level goal of 0 mg/L for lead and an action level of 0.015 mg/L for lead in public water systems. The lead action level is exceeded if the concentration in more than 10 percent of the distribution water samples (i.e., the 90th percentile) collected after a minimum stagnation time of 6 hours is greater than the respective action level. CWLP’s certified lab results have revealed concentrations below the action level. 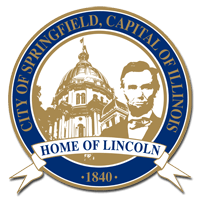 A laboratory certified by the Illinois Environmental Protection Agency (IEPA) can be hired to perform an analysis of your home or business for lead. A list of certified laboratories is available from the IEPA Regional Office at 217.557.8761. For more information on reducing lead exposure around your home and the health effects of lead, visit EPA’s Web site below, call the National Lead Information Center at 800-424-LEAD, or contact your health care provider.